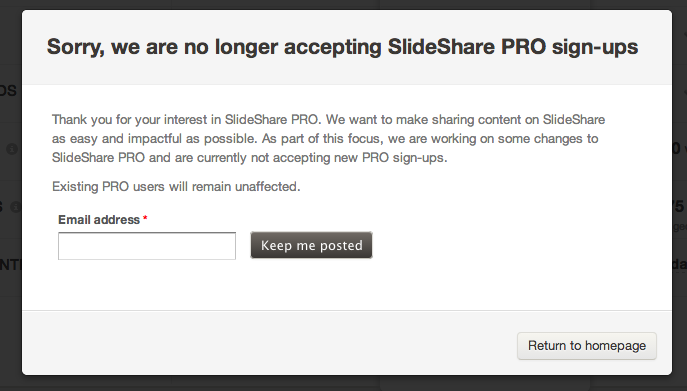 SlideShare, the LinkedIn-owned site that lets you upload and distribute presentations online, is turning over a new leaf today. The service, which has 60 million users, is going free. In tandem with that, SlideShare is dropping its PRO tiers, once priced at $19/month and $49/month, and making extra features like analytics, which used to come at a price, free for all. LinkedIn says that it will roll out a new feature every month starting in September. 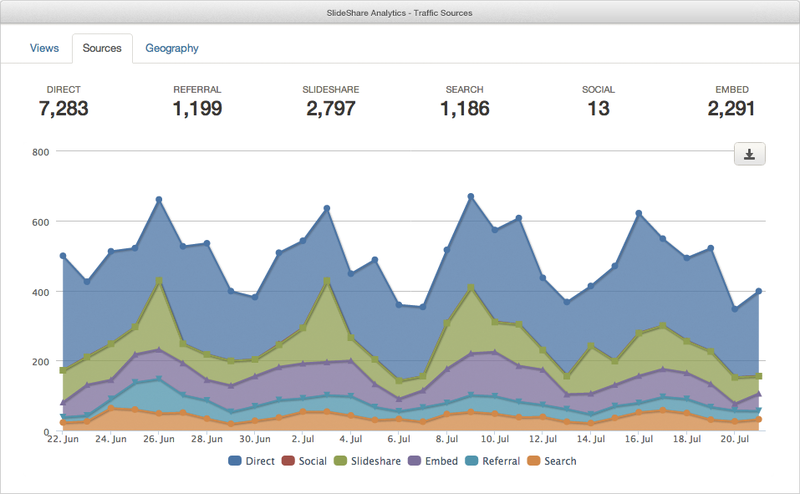 The first of these, according to a blog post from product manager Amit Sawhney, will be analytics. After this will come the ability for you to customise your profile, which you can do with a banner, a list of your favorite SlideShares, and other features. Other PRO perks that will now get opened to all include the ability to set presentations to private so that only specified users can view them, as well as video uploads. You can sign up here for the full list and details of when each feature will get turned on. But there could be bigger business motives, too. LinkedIn does not disclose how many users it had on the PRO tier, nor how many of the 60 million SlideShare users are active, but I can imagine that making the service far more functional for casual users is a play to increase the number of active visitors and uploads to the site. To date there have been 10 million presentations uploaded to the site, but when you consider how sites like YouTube (to which SlideShare has in its past been compared) host billions of videos, you can see where free might appear tantalising, especially if you are not earning huge returns on the paid version. The other area that occurs to me is that, if LinkedIn manages to drive more traffic to SlideShare, it’s collecting a whole lot more data for itself about how business people are using its cloud-based services. If LinkedIn has ambitions to do more in marketing services for businesses — something that its recent Bizo acquisition also points to — then it makes perfect sense for them to be collecting as much information as possible right now on who to pitch that product to and what people really want out of a new service in that vein. The company does not break out its SlideShare revenue figures in its earnings. LinkedIn tells me that there will not be any changes in advertising for now. “Business per usual here, no changes to advertising model with this update,” she says.